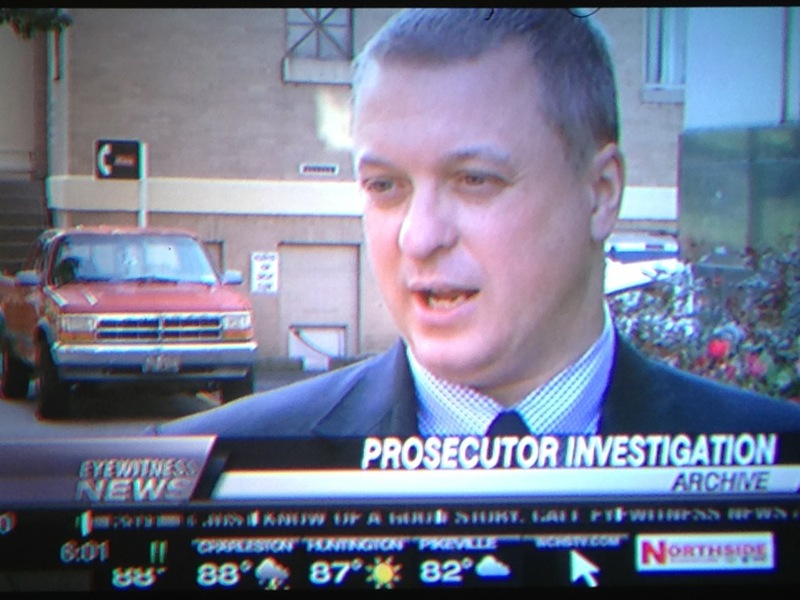 4th Democrat, Mingo County Official PLEADS GUILTY!!! CHARLESTON, W.Va. — Another former leader of a Mingo County courtroom admitted breaking the law Monday, becoming the fourth official to plead guilty to federal charges in recent weeks. Ex-Magistrate Dallas “Big Dal” Toler, 45, pleaded guilty to a charge of knowingly helping a person on probation for a felony register and vote in the 2012 election. It’s illegal for someone on probation for a felony to vote in West Virginia. 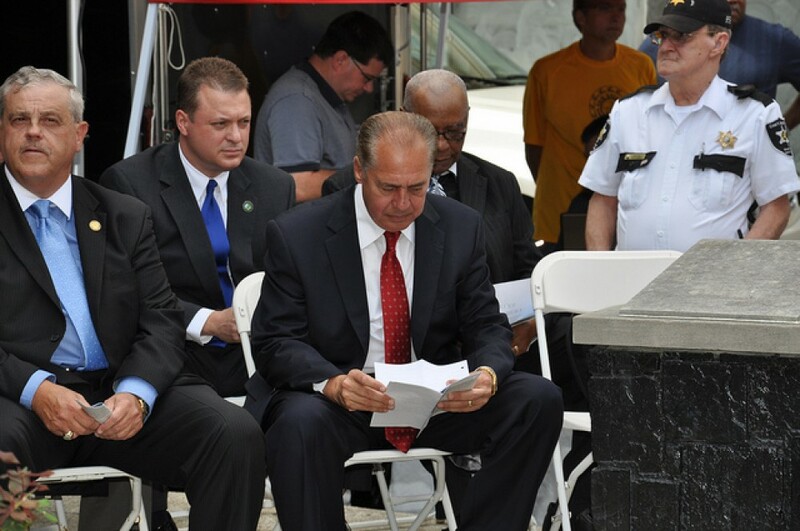 Another Team Mingo Member, Democrat Goes Down…..
CHARLESTON, W.Va. — U.S. Attorney Booth Goodwin said Monday he believes the epidemic of political corruption in Mingo County has probably been stopped as a result of recent efforts by his office and others. Goodwin was in a federal courtroom Monday morning when former Mingo County Magistrate Dallas Toler pleaded guilty to federal vote fraud. Toler is the fourth now former Mingo County elected official to plead guilty to various charges in recent months. CHARLESTON, W.Va. — Dallas Toler repeatedly stroked his face, as if trying to wipe away what was taking place in the courtroom. Toler, the former chief magistrate in Mingo County, pleaded guilty Monday in U.S. District Court in Charleston to one count of voter-registration fraud. “In other words, did you do it?” Judge Thomas Johnston asked Toler. 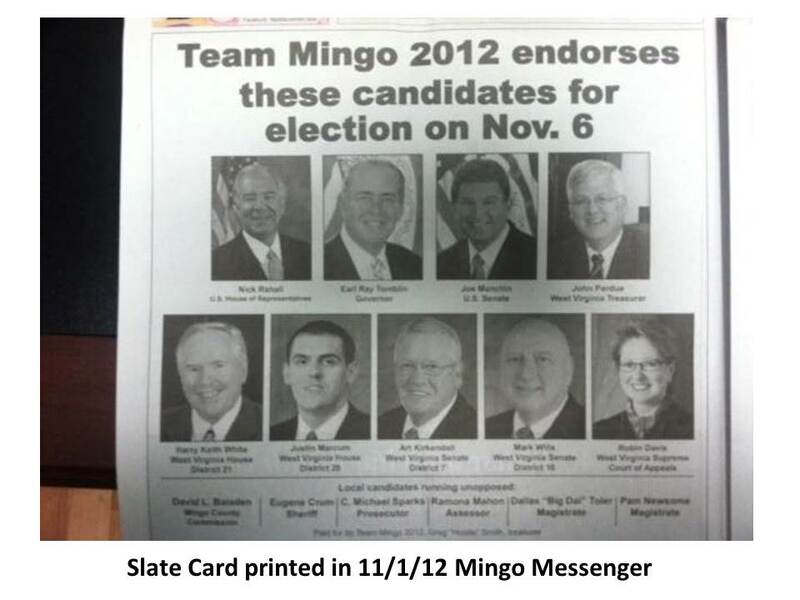 Team Mingo Member, Former Mingo Magistrate to plead GUILTY to VOTER FRAUD! CHARLESTON, W.Va. — A former Mingo County magistrate is scheduled to be in U.S. District Court in Charleston Monday to plead guilty to a federal voter fraud charge. Dallas Toler allegedly knowingly registered a convicted to vote last year. Toler will be the fourth former Mingo County elected official to plead guilty to a federal charge as part of a larger investigation focused on corruption in Mingo County. Drug Dealer at Center of Mingo County Corruption – Released from Prison! CHARLESTON, W.Va. — The drug dealer at the center of the Mingo County corruption investigation was released from prison last week until a judge decides whether to reconsider his case. George Reuben White, 65, of Delbarton, was released from Huttonsville Correctional Center on Friday after posting a $25,000 bail, according to an order signed by Circuit Judge John Cummings. CHARLESTON, W.Va. — Former Mingo County Prosecutor Michael Sparks said Monday during his guilty plea to a federal crime that he had “no viable defense” for what he did. Sparks, 44, admitted he violated a man’s constitutional rights in order to protect former Mingo County Sheriff Eugene Crum. He now faces up to a year in federal prison when he’s sentenced Feb. 24. CHARLESTON, W.Va. — Former Mingo County Prosecutor Michael Sparks will appear before a federal judge Monday to plead guilty to a criminal charge. 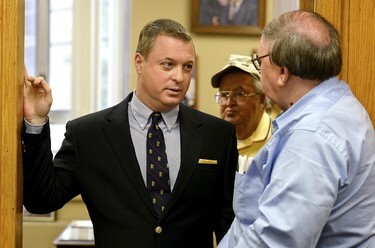 Sparks resigned from the office last month after he was indicted on a charge of violating a man’s constitutional rights. According to the court filing, Sparks participated in a conspiracy with other Mingo County officials to thwart a federal investigation into late Mingo County Sheriff Eugene Crum.